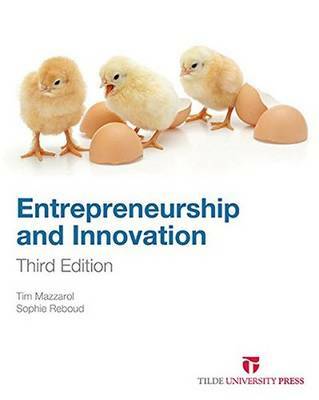 Entrepreneurship and Innovation: Third Edition provides an overview of the theory, practice and context of entrepreneurship and innovation at both the industry and firm level. It provides students with a foundation of ideas and understandings designed to shape their thinking and behaviour so as to appreciate the role of innovation and entrepreneurship in modern economies, and to recognise their own abilities in this regard. Aimed at students studying entrepreneurship at both postgraduate and undergraduate level, this book creates entrepreneurial awareness, develops analytical and creative skills, and encourages the self-development of students into entrepreneurial business owners or employees. The text brings together entrepreneurship and innovation - as they are largely indivisible elements and cannot be adequately understood if studied separately - and provides the reader with an overview of these elements and how they combine to create new value in the market. Additionally, it also includes relevant cases that help apply the theory or principle being addressed, and that can be used successfully in a classroom or lecture environment. All the case studies are based on original research, real entrepreneurs and real businesses.